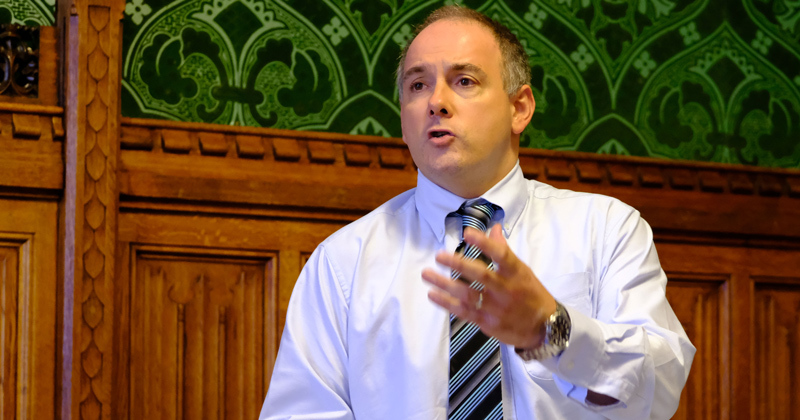 The Careers and Enterprise Company and the National Careers Service should be brought under a single umbrella to avoid duplication of resources, Robert Halfon has said. The former skills minister outlined his vision for a National Skills Service on the same day that his successor Anne Milton finally launched the government’s long-awaited careers strategy – which gave both existing careers bodies an expanded role. “We need to transform careers advice into careers skills advice, avoid the duplication of the National Careers Service, Careers Enterprise Company and the like, and reallocate the many millions of pounds that go to careers and create a one-stop shop of a National Skills Service,” he said during a keynote address for the Joseph Rowntree Foundation this morning. He told FE Week that “there’s so much duplication of what’s going on” and “so many different agents”. These include the CEC, the NCS and the National Apprenticeship Service, and he claims teachers find it difficult to navigate their options. His proposal would not represent a merger of the different bodies, but would instead integrate the services each currently offers, Mr Halfon, who now chairs the education select committee, explained. He gave his speech before Ms Milton unveiled the careers strategy at the Careers Development Institute’s annual conference – and he later stressed his comments were not an “attack” on the strategy, which he said he welcomed. That document – originally promised two years ago – includes an expanded role for the CEC, which was launched in 2014 to provide careers and enterprise support for people aged between 12 and 18. The company will support schools and colleges to meet all eight of the benchmarks for excellent careers advice outlined by the Gatsby Charitable Foundation – up from the two on which it had previously concentrated. The National Careers Service website will also be revamped so that, from 2018, all government careers information will be available in one place – including over 800 job profiles, and an interactive course directory. Other careers strategy announcement included £4 million to ensure every school and college has a careers leader, and £5 million to develop 20 careers hubs. “It matters to me that we give people from all backgrounds the best possible preparation to move into a job, or training that enables them – whatever their background or wherever they live – to have a fulfilling life,” Ms Milton said. But her Labour shadow Gordon Marsden said the government had “belatedly put together a jumble of ideas without the necessary funding or resources”. “It is vital that we give both young people and adults the knowledge of opportunities available to them,” he said. What, Like a Learning & Skills Council?